A boy eats his way to self-discovery, while another must battle reality-brandishing monster preying on his fantasy realm. Elsewhere, an aerobic instructor – the daughter of a Holocaust survivor – makes the most shocking leap imaginable to save her soul. These are just of the characters you’ll encounter in Sam Lipsyte’s richly imagined world. This does not mean the book was a complete disaster as I did actually enjoy the first couple of stories. The first three stores; ‘The Climber Room’, ‘The Dungeon Master’ and ‘The Deniers’ were very good and I found myself wishing for longer stories with these characters. I feel most of the stories started abruptly and also ended abruptly and I was left slightly confused on some of them. This book will not be on my bookshelf very long and I think I will be donating it to the local library. Sam Lipsyte was born in 1968. 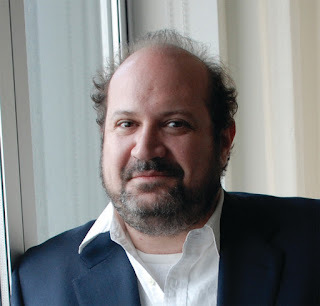 He is the author of the story collection Venus Drive (named one of the top twenty-five books of its year by the Village Voice Supplement) and the novels The Subject of Steve and Home Land, winner of the Believer Book Award. Lipsyte teaches at Columbia University's School of The Arts and is a 2008 Guggenheim Fellow. He lives in Manhattan. 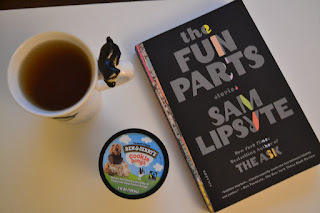 Have you read the book ‘The Fun Parts’ by Sam Lipsyte? Did you like it?